More kraft and less red this time for my 24th Christmas card ! I choose the silver/black stripes paper for the card base and the kraft snowflakes for the front. I cut small banners from two different papers and use the red plaid for the deer head. The kraft tag and black plaid came from one image from the journaling tag sheet. Only 6 more cards to go before Christmas, and before closing the giveaway, so don't forget to comment to enter and maybe win a prize on Christmas day ! Have a wonderful day and see you tomorrow ! Lovely! 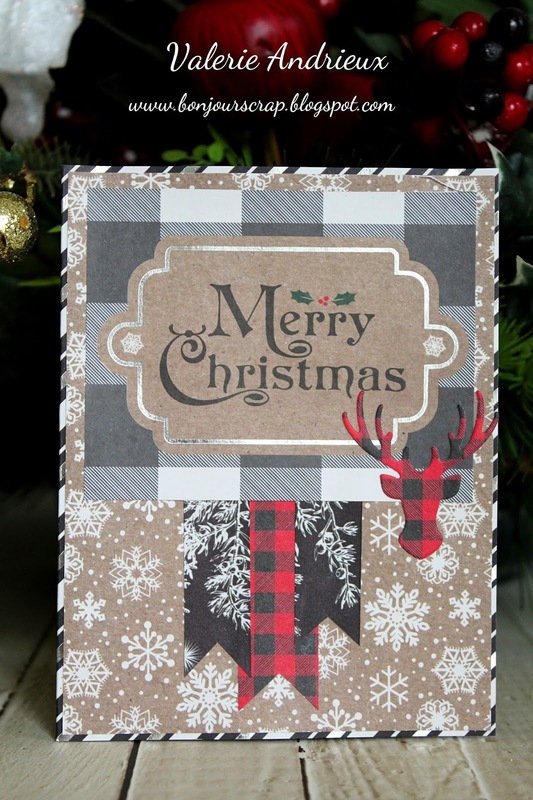 Love the kraft paper with the snowflakes. Your cards are beautiful. So glad to have found this blog! Thanks ! Glad you found me !